Greetings from Ship Island! As one of the researchers normally stationed on Petit Manan Island, I had the privilege of island-sitting Ship island for just over a week while the regular crew had their break and visited Petit Manan. Visiting other islands gives us new insights into seabird biology as each colony behaves in their own way slightly different from all the rest. Plus, who wouldn’t want to check out the Puffins?! In 2013 I spent the summer here, so when I stepped out onto the warm, sandy shore, it was a bit like visiting an old friend. 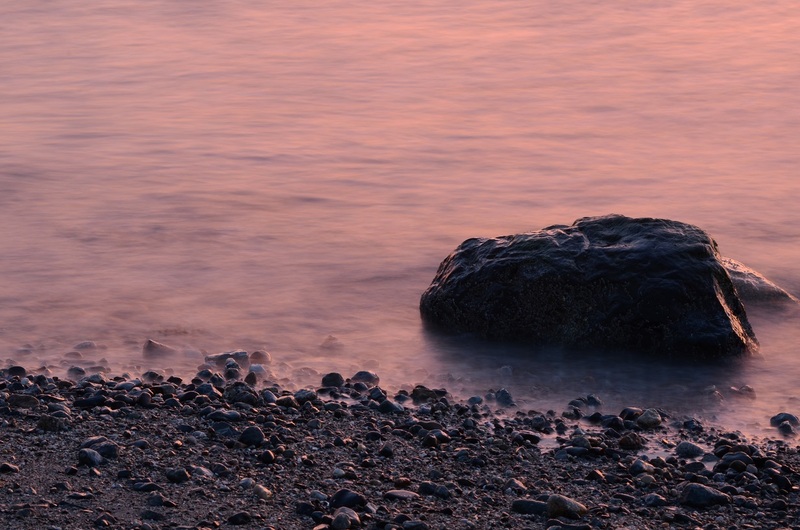 Lazy sunset on the beach. With me came Shelby, a young student just learning the ropes of being a biologist. We had a fun time learning what birds, plants, and insects live on the island. Every morning we went “birding” to conduct the morning bird count, learning where each bird family lived and what theirs songs sounded like. Common Yellowthroat with a little morsel for his chicks. Spotted Sandpiper “defending” his nest as we attempt to find it. During our time here the chicks started hatching en masse, so Shelby also got to band quite a few birds! Banding is a very delicate process so first we practiced in the house several times, but she did great. Shelby banding one of her first chicks! We even got a bonus with this adult Tern I caught out of the air. Adult Tern caught by hand! 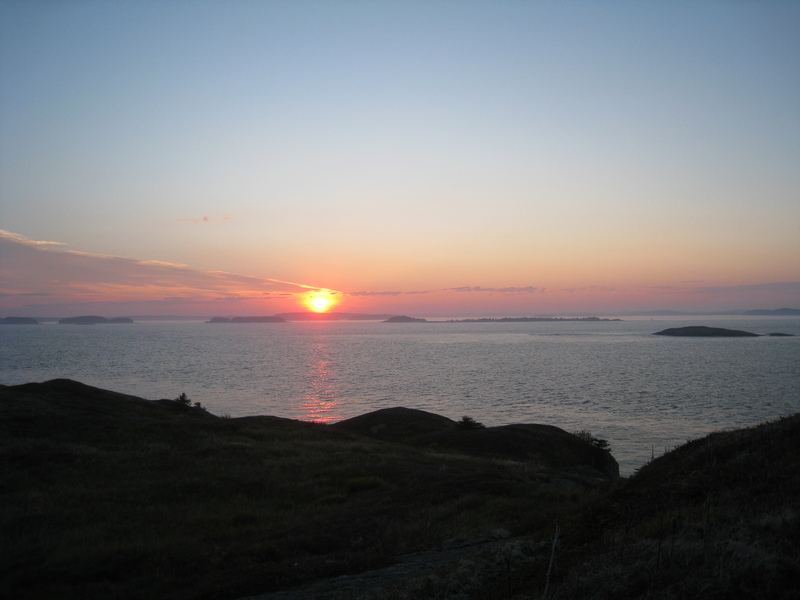 Tomorrow we go back to where we belong – me to Petit Manan, and Shelby to her home on the mainland. It has been a great week on Ship with beautiful weather and many laughs but we are ready for whatever’s next! As we say on Petit Manan Island, the season is in full swing and eggs are hatching all over the island. 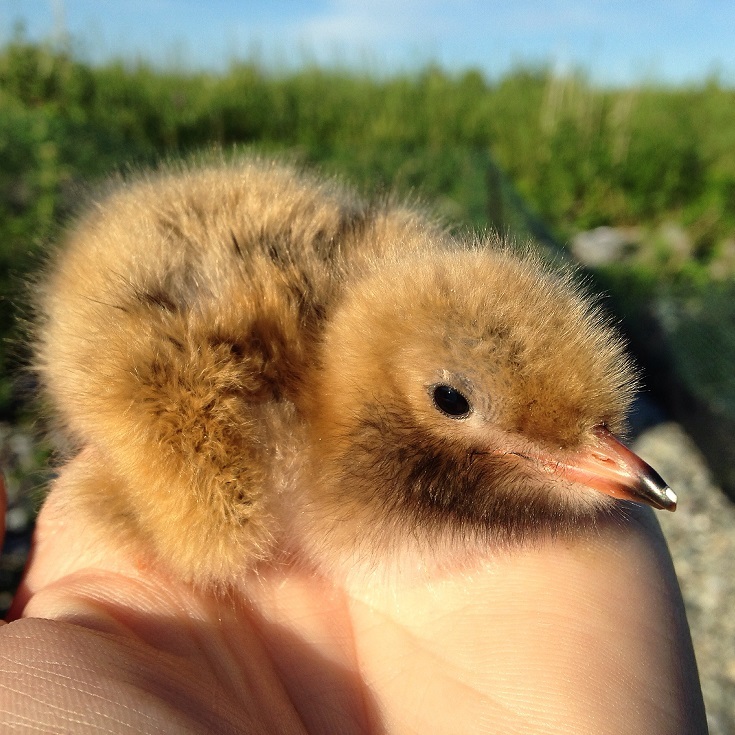 We had our first Arctic tern eggs hatch on 17th of June and the first Common terns hatched on the 19th of June and we’ve been banding chicks ever since. This year we have set up 9 productivity fences throughout the island containing from 5-11 tern nests and will monitor the chicks as they hatch until they fledge. Arctic terns take about 21-24 days and Common terns take a little longer, around 27-30 days. Every day we go out into the colony (weather permitting) and weigh each banded chick inside each plot until they have fledged. 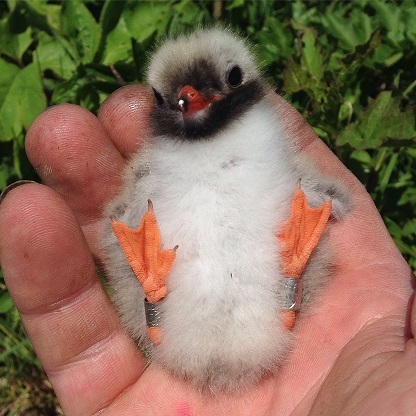 This in turn will give us a better understanding of productivity in the tern colony on PMI this year. We also had our first Atlantic Puffin chick hatch on the 25th of June and found our first Black guillemot chicks on the 27th of June which was actually Guillemot Appreciation day! 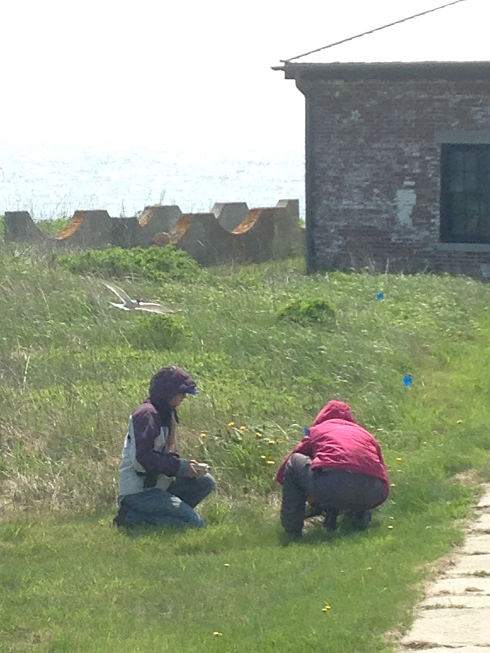 John banding a common tern chick while Laura looks for chicks inside a productivity plot. 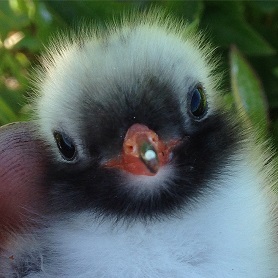 This is my fourth season working with seabirds and I am amazed every year how cute these chicks can be. Every year I watch my fellow biologists turn into little softies after seeing these little creatures. I don’t care who you are, there is no one who could say that this isn’t cute. Living out on The Brothers island has been quite the awesome experience so far. Now that the end of June is among us, the seabird activity has really begun to accelerate.With the terns beginning to hatch and the number or guillemot burrows rising, Nate and I have had our hands full. Since arriving to The Brothers in late May we have Identified many of the plants that inhabit both Westerns and Eastern Brothers. There are many different plants that are edible and some have been disappointing, however, none compare to Scotch Lovage of the parsley family. 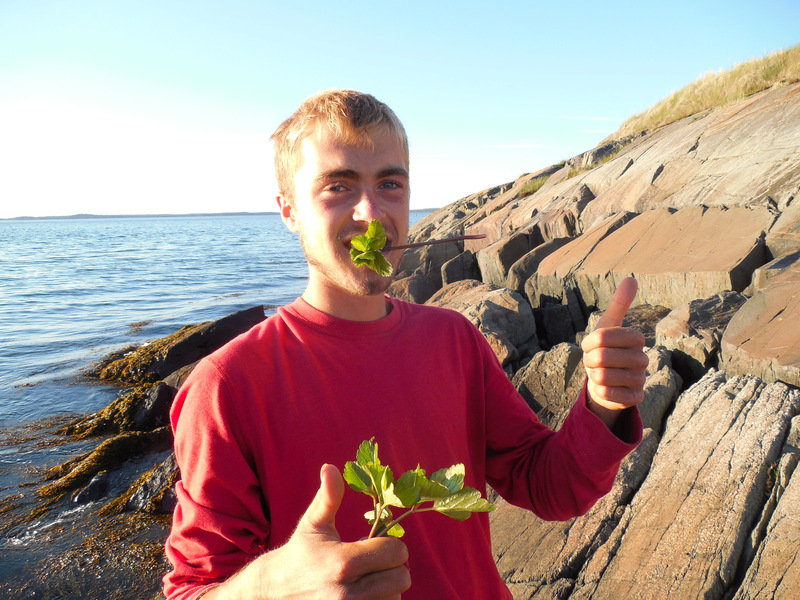 This delicious green is always fresh from the island and very nutritious! One of the greatest parts about living out on The Brothers is that almost every night is rewarded by a postcard sunset that will illuminate the sky well into evening. Every night after the sunset we are also greeted by the arrival of the the leach’s storm petrels, as they use the darkness as cover. Our efforts on Ship Island focus so heavily on tern monitoring, that we seldom mention the other species that spend their summer on the island. We made an earlier post about migrants, but I’d like to outline some of our everyday, non-tern sightings. 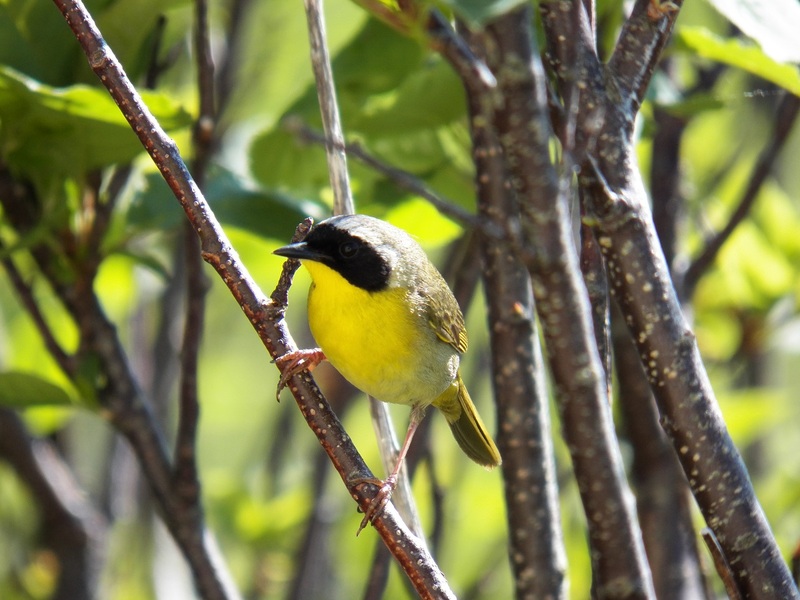 Two species of warbler are our brightest residents, their brilliant colors visible even through the growing foliage. Yellow Warblers, as their name implies, are a fantastic yellow hue throughout, with some red or brown markings on the breast. We have at least one pair in the grove, where the female was gathering nest material earlier in the season. 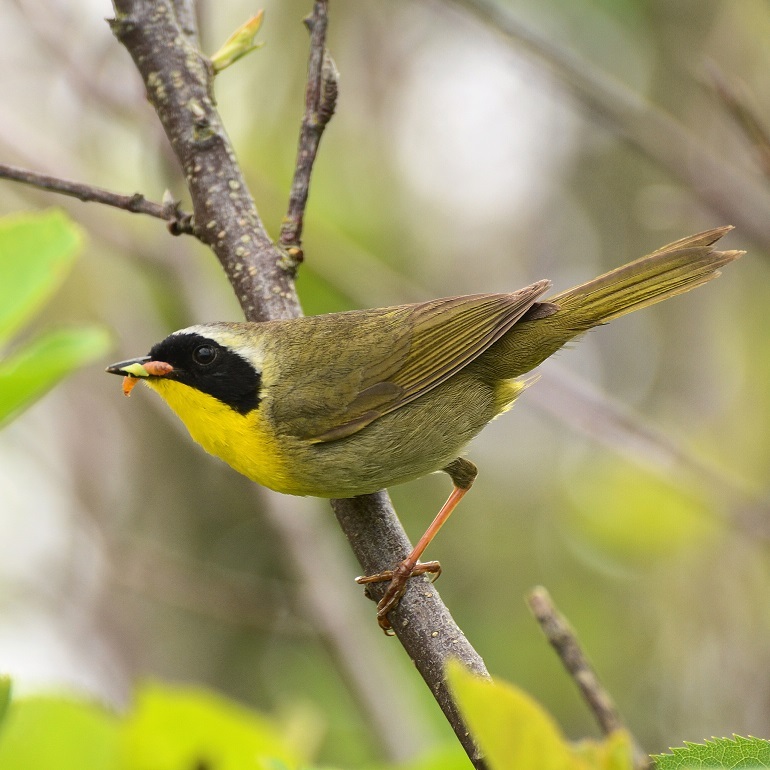 A few Common Yellowthroats’ “Wichety-wichety-wichety” can be heard around the island, with them making an occasional feeding foray just outside the cabin window. While not as striking as the warblers, three sparrow species make their homes on Ship, with at least two of them breeding here. Our two dozen or so Song Sparrows are one of the most common streaky sparrows found throughout much of the U.S. and Canada. Their reddish caps and tails set them apart from our equally numerous Savannah Sparrows. 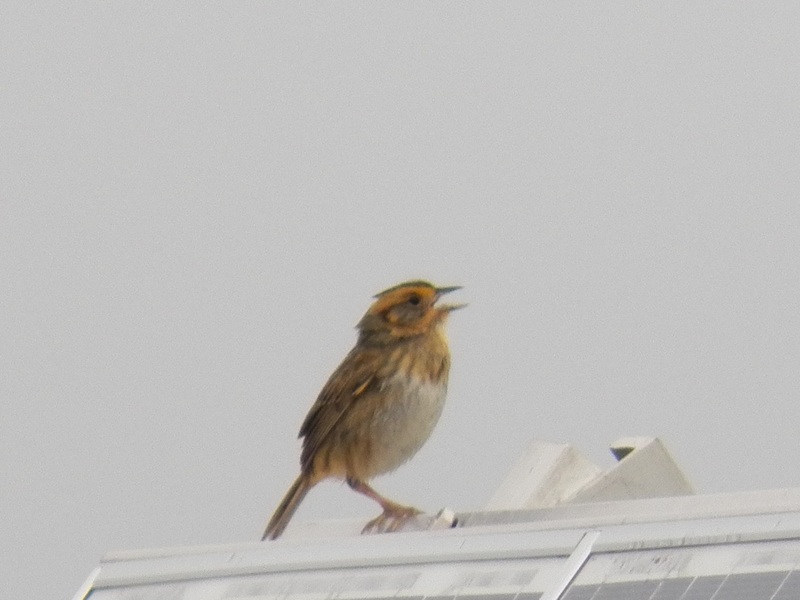 Savannah Sparrows are smaller and have a bright yellow spot right above their eye. A more recent arrival has been the Nelson’s Sparrow, of which we have seen only two. Smaller even than the Savannah, the Nelson’s have a strange call somewhere between a hiss and a sigh that we can often hear near the small wetland in the middle of the island. Terns are often lauded for their aerial acrobatics, but we have at least one pair of nesting Bank Swallows which can match them zig for zag. Much smaller than the terns, the swallows zip around the island gulping up small flying insects and turning on a dime. Their nest is near the top of the bluff, where they have excavated a small hole. 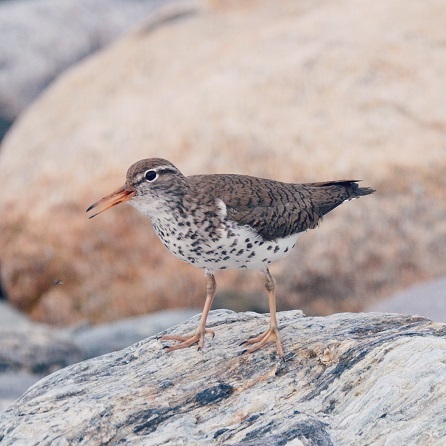 Several shorebird species make use of the island’s tideline for foraging, but only one species, the Spotted Sandpiper, nests here. Their peeping call and constant tail-bobbing set them apart from other species. 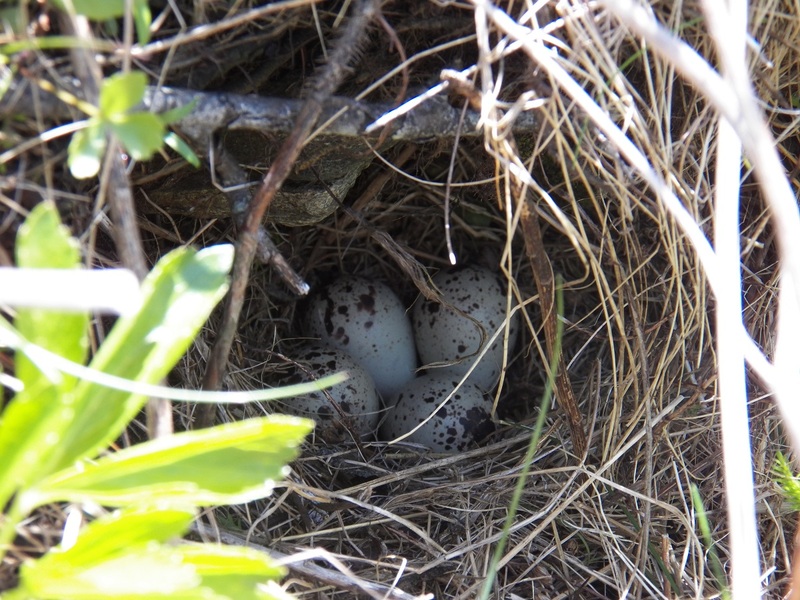 We have found two nests and suspect that there are at least three more, hidden under tufts of grass. 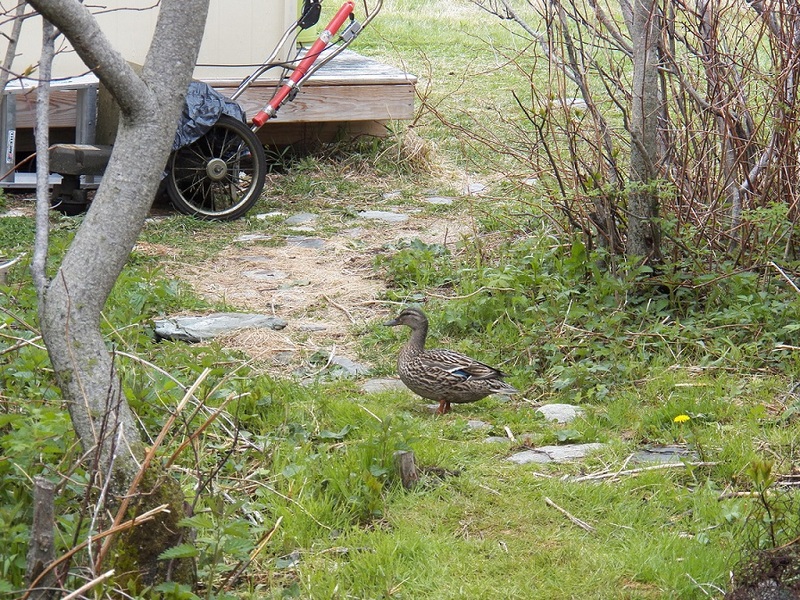 No island bird post would be complete without mentioning our Mallards. 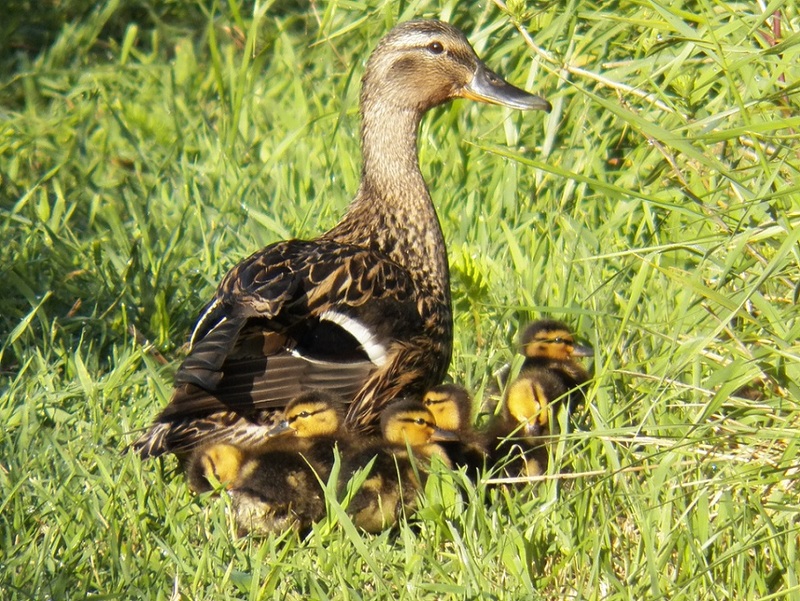 A well-known and common duck throughout North America, we have at least three females currently roaming the island with clutches of ducklings. With the remnants of a tropical storm currently passing through, it seems like a good time to reflect on the events of the past week or so out here on Metinic Island. Our focus is shifting from eggs to birds, as more are hatching everyday. 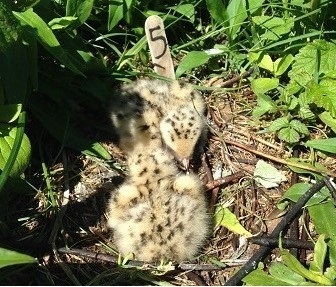 We’ve managed to set up productivity plots to monitor a portion of the tern chicks as they go through their growing-up process from hatchling to fledgeling. We’ve also conducted the yearly census to find out exactly how many nests we have, and it’s a solid 25% increase over last year! Adding to the good news of nest numbers being higher, we found that the first tern chick hatched on Friday. Over the next couple of weeks the rest of the colony, which consists of both common and arctic terns, will follow suit, with the parents bringing the newborns loads of herring and other fish for them to munch on as they rapidly grow to full size. 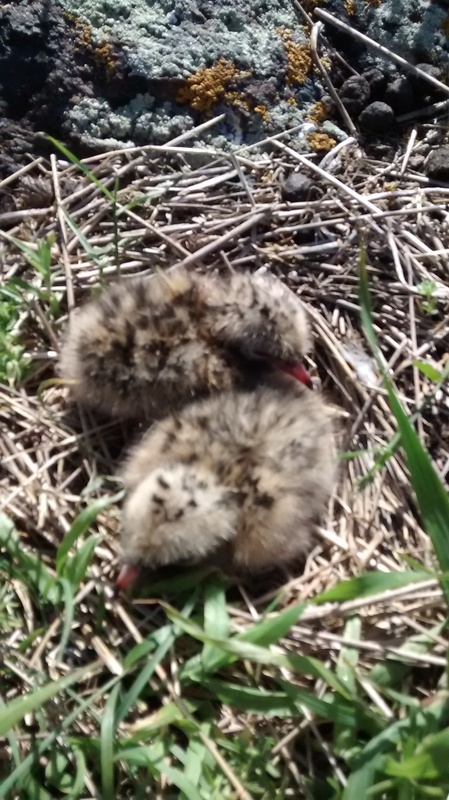 A pair of newly hatched arctic terns. The calm before the (current) storm brought great weather to the area. We took advantage of it and managed to trap 19 terns, all of which received shiny ID bands, if they didn’t have them already, and nanotags. These little devices that get attached to the birds’ backs will help tell us where they are going to feed and, more importantly, exactly what route they take during their migration halfway around the world to southern Africa and South America. 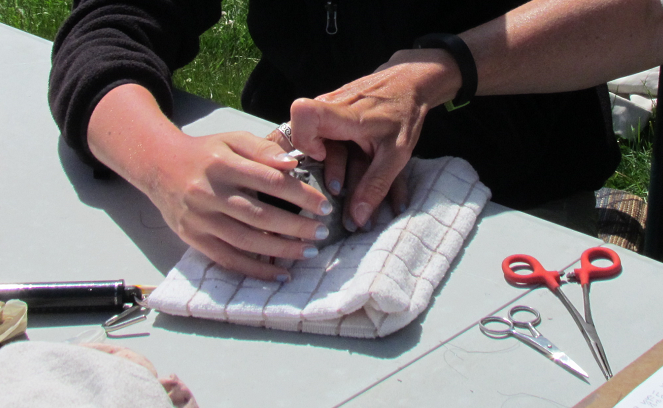 Attaching a nanotag to a tern. 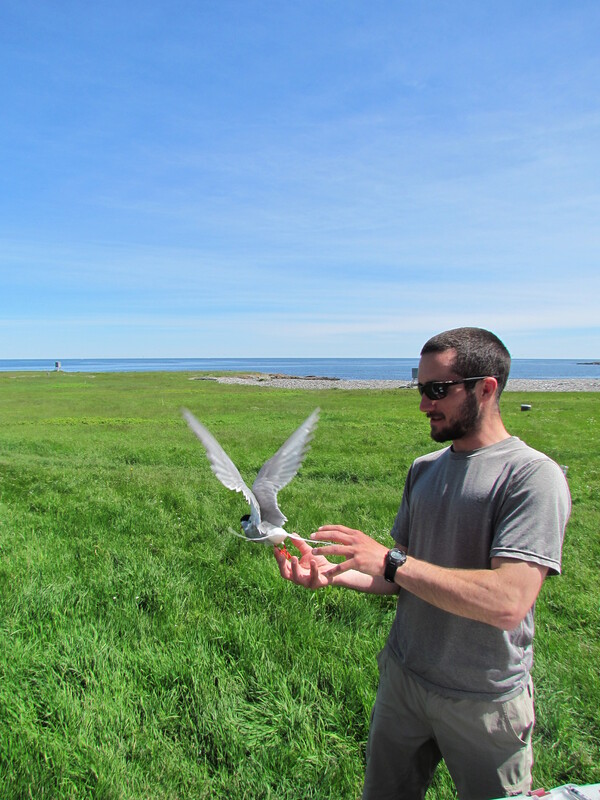 Releasing a freshly banded and nanotagged arctic tern. Things are looking good out here, and the season is going about as smoothly as possible. Hopefully over the next month and change things continue to go the terns’ way, with lots of plump fish being brought in and lots of tern chicks learning to fly! 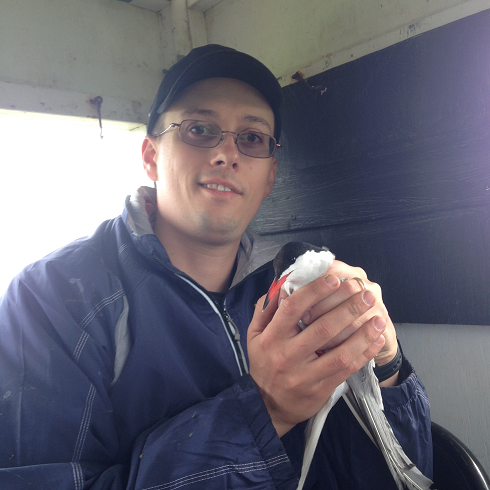 Last week, John and I trapped and banded our first terns! We were thrilled to finally have the opportunity to see and work with these birds up close. But these amazing up close interactions did not come without a lot of hard work and preparation. The process of trapping and banding is very detailed and a complete understanding is needed to keep the terns happy and healthy. Before we could start banding, Julia and Wayne had us practice on dummy birds. These dummy birds were composed of cardboard toilet paper rolls for bodies, Q-tips for legs, and duct tape for heads. Julia and Wayne informed us of the methods of handling and banding terns when out in the field and with their help we simulated banding on our dummy birds by using old bands. After we felt comfortable with banding we learned how to collected measurements from our birds. When a tern is captured we recorded the weight, wing length, and head and bill length of the tern. We got to see and use all of the tools used to take these measurements. In preparation for trapping, we laid out all of our equipment out on the lawn and checked to make sure all of the traps had all their components and were functional. John and I spent some time getting used to setting up the traps and gripping the idea of the little quirks that makes the trapping process run a lot smoother. Once we were quick and efficient with setting up out traps we were ready for the real deal! Our first trapping day was nerve racking and exciting! We had to find a balance when trapping and banding our terns that would enable us to work fast but also be gentle and thoughtful when handing the terns. As much as we wanted to take our time and soak up all the beauty, we had to act quickly and efficiently when banding the terns to minimize the amount of stress placed on the birds. 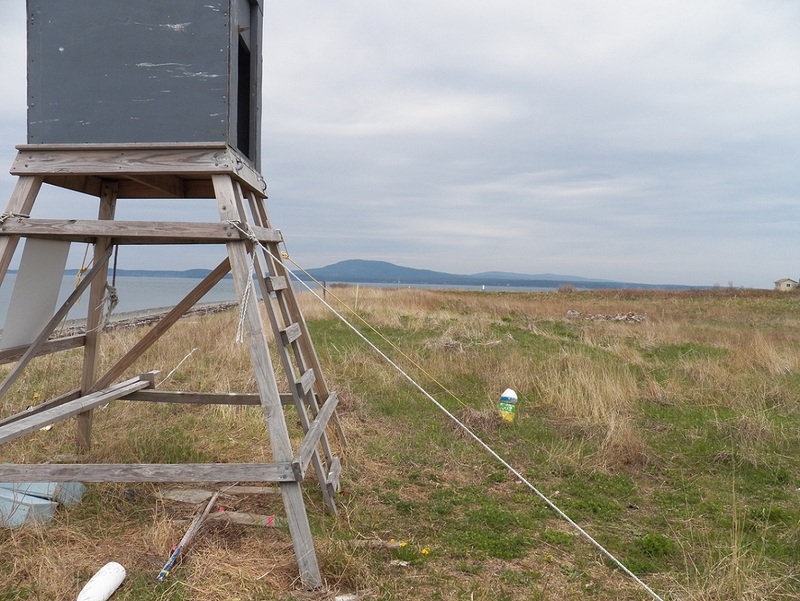 I felt uneasy going into my fist banding experience; this wasn’t like the dummy birds we practiced on, the terns move around a lot more than the dummies and one wrong pinch on the band could harm the tern. But to my surprise banding my fist bird came natural to me and it went smoothly. 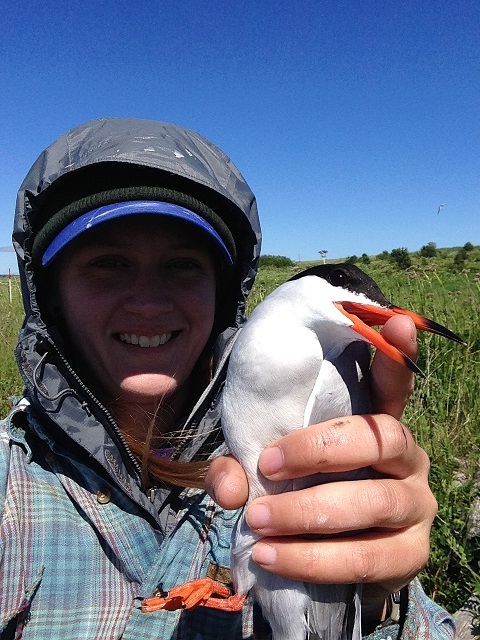 I got to trap and band many more terns that day and I hope to do some more in the next few days. So far we have trapped 19 COTE (common terns) and 16 ARTE (arctic terns) our goal is to have a total of 20 COTE and 100 ARTE by next week! 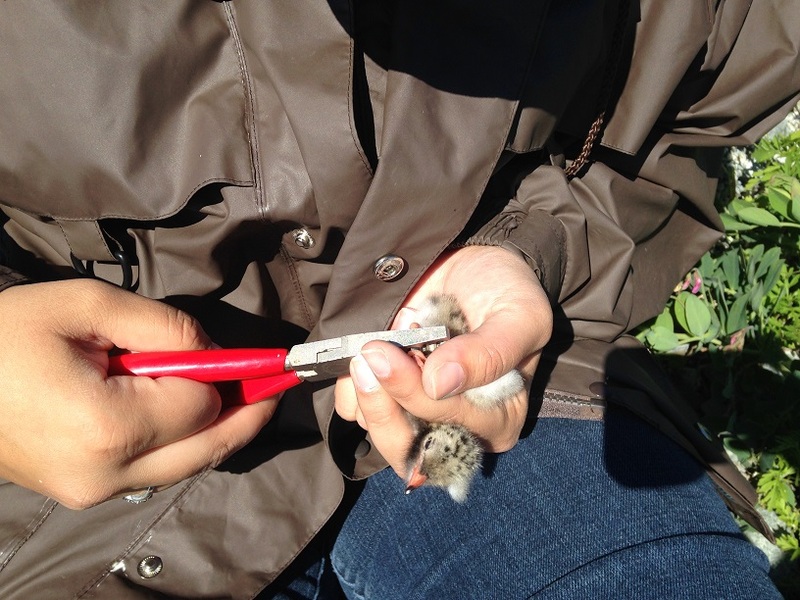 Trapping and banding terns is important because it shows sight fidelity and survival rates of juveniles and adults. While monitoring and managing wildlife is the priority of the Fish and Wildlife Service, plant management is an often overlooked facet of the process. Common Terns nest on and just above the narrow gravel beach of Ship Island, eschewing the dense, shrubby vegetation found higher up. In recent years, the colony has been periodically inundated by extreme tides and storms, so there has been a push to get the terns to nest further above the tideline. In addition to the construction of the restoration plots mentioned in last week’s Ship Island post, the refuge staff have conducted prescribed burns to deter dense vegetation growing near the beach. The terns seem to be happily building nests in the area that was burned earlier this spring, even with the patchy plants popping up around them. 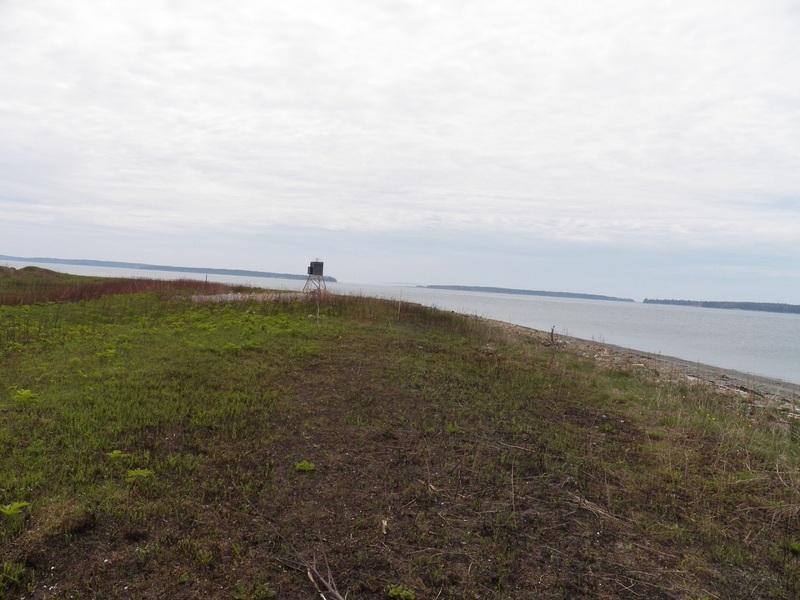 Another plant project on the island is the ongoing battle against invasive plants. 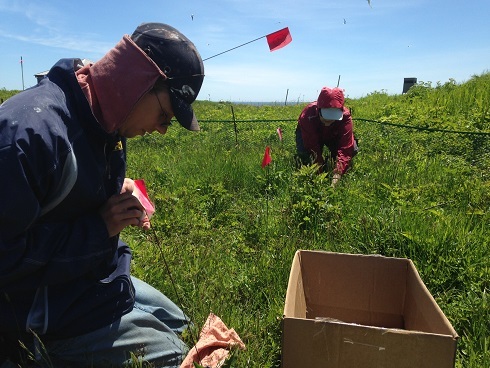 Maine Natural History Observatory, along with the refuge staff, has been experimenting with different treatments to remove garlic mustard and garden valerian. Hand-pulling, followed by the application of salt water and concentrated vinegar has been our method for garlic mustard control earlier in the summer. While we managed to eliminate most of the large patches, there is likely some garlic mustard still lurking beneath the waist-high cow parsnip. A final plant management project is mostly for our benefit. Our trails around the island require plenty of maintenance to prevent them from getting overgrown. As the weather has warmed, the plants have grown ever higher, faster and faster. Regular weekly mowing has allowed us to keep our trails clear, even as the surrounding vegetation has grown up. The trails aren’t just for us; mallards, sparrows, and sandpipers also use the cleared trails.